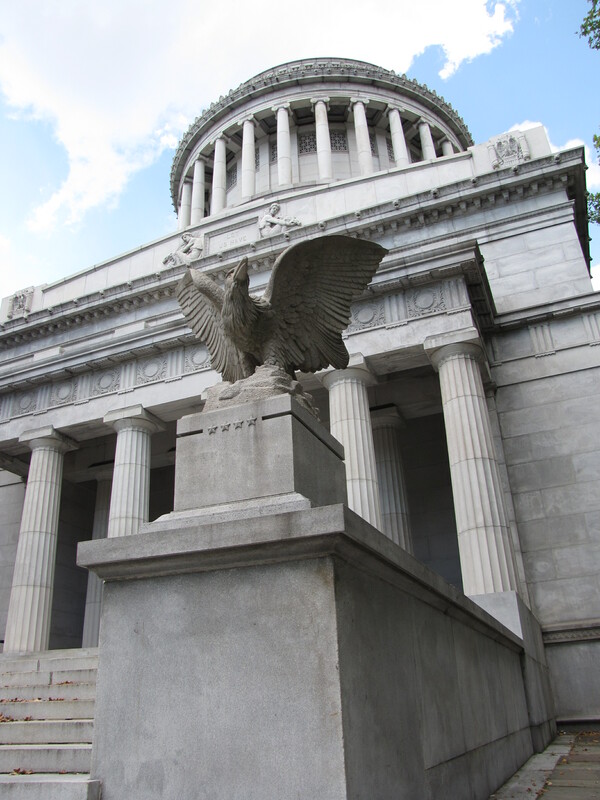 Grant’s Tomb was dedicated on April 27th, 1897, President Grant’s 75th anniversary of his birth. His mausoleum was to be the centerpiece of Riverside Park. For many years it was a gathering place. But by the 1970s the tomb had fallen into disrepair. The monument had been vandalized and was painted with graffiti. 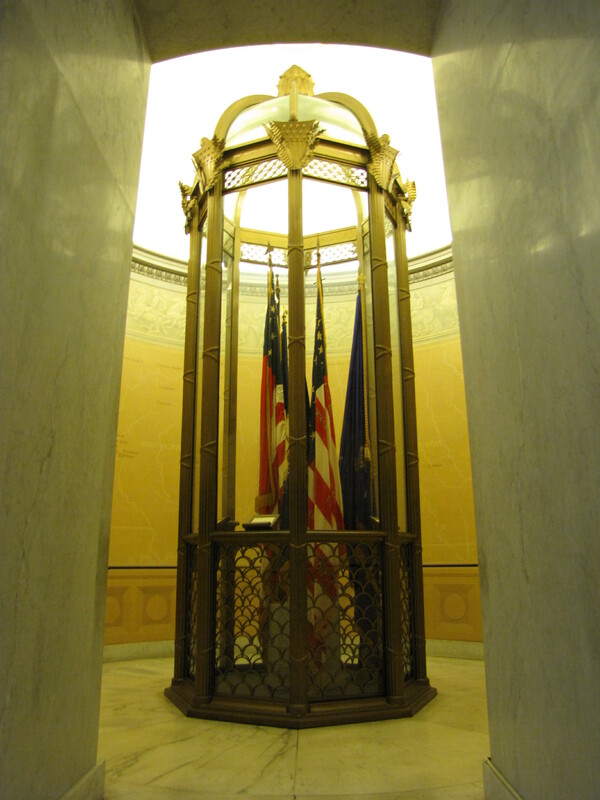 One of two reliquary rooms that display battle flags from the Civil War. The murals on the walls that show the battles in which General Grant fought were restored. Congress allocated the funds to restore the monument in 1994 and by 1997 the restoration of the tomb had been completed and it was rededicated. 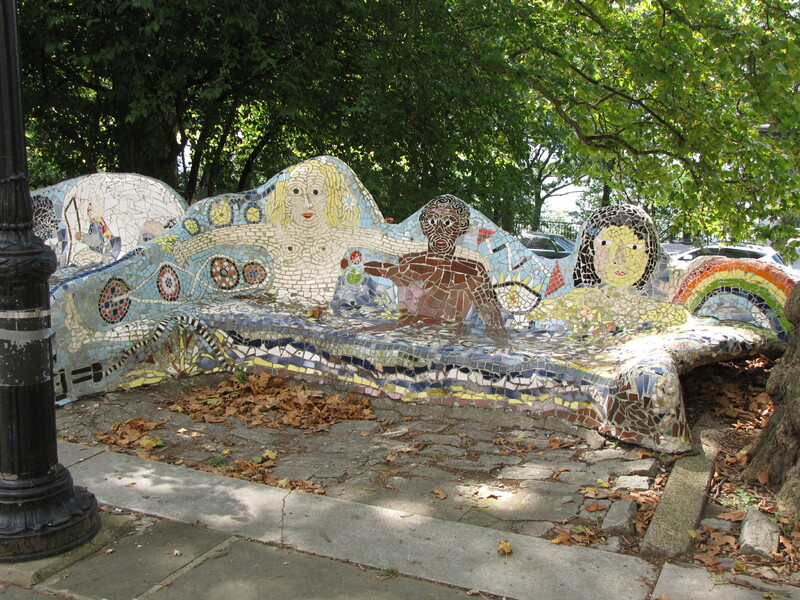 In 1968, The Rolling Bench, designed by artist Pedro Silva and architect Phillip Danzig was built by hundreds of children who lived in the area under the direction of Silva and surrounds the tomb on three sides. The bench, a Gaudi-esque design, was criticized for its incongruity with the Neo-classical monument. The Rolling Bench was restored in 2008.